The Dow Jones Industrial Average fell over 30 points during Tuesday's pre-market trading as investors followed up Monday's 245-point loss. Overnight, the Chinese yuan slid to its lowest level in a decade as investors continue to worry about ongoing trade tensions between the world's two largest economies. Investors are reacting negatively to news out of Europe this morning. The EU announced this morning that third quarter growth came in at just 0.2%, a figure that was well below economists' expectations. Oil prices continued to slide Tuesday. Prices have fallen this month by the largest rate since October 2016 as geopolitical concerns continue to weigh on global sentiment. WTI crude oil was off another 1% this morning, falling to $66.35 per barrel. Brent crude oil was off 1.4% to hit $76.19 per barrel. In earnings news, shares of Coca-Cola Co. (NYSE: KO) were up slightly after the iconic beverage company topped Wall Street quarterly expectations. The firm reported earnings per share of $0.58, a figure that beat consensus expectations by $0.03. 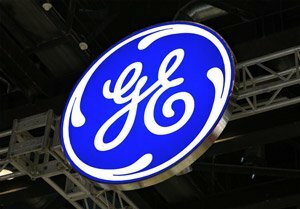 Shares of General Electric Co. (NYSE: GE) were off 6.7% after the conglomerate announced its plan to cut its quarterly dividend. This morning, GE reported earnings per share of $0.06, a figure that was well short of the average estimate of $0.14. General Electric's dividend is now $0.01, which is a steep cut from the previous payout of $0.14. Apple Inc. (NASDAQ: AAPL) generated buzz on Tuesday. The tech giant is expected to unveil new iPads and Mac products at an event in Brooklyn today. The company will report earnings later this week. Look for additional earnings reports from Aetna Inc. (NYSE: AET), Baker Hughes A GE Co. (NYSE: BHGE), BP Plc. (NYSE: BP), Fiat Chrysler Automobiles NV (NASDAQ: FCAU), Honda Motor Co. Ltd. (NYSE: HMC), MasterCard (NYSE: MA), Pfizer Inc. (NYSE: PFE), and Under Armour Inc. (NYSE: UAA).